The Osaka Asian Film Festival (OAFF) from March 8 to 17 (Osaka time) is featuring a "Special Focus on Hong Kong" with the aim of giving Japanese movie lovers an opportunity to feel the vibrancy of Hong Kong while also enjoying its films. This is the eighth year in a row that the OAFF has run the programme, along with support from the Hong Kong Economic and Trade Office (Tokyo). 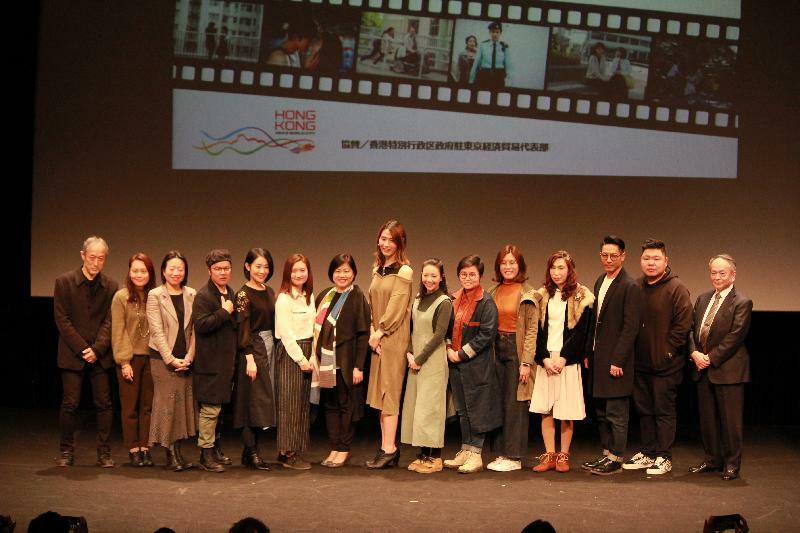 As a major part of the "Special Focus on Hong Kong", a "Hong Kong Night" was held this evening (March 14, Osaka time), during which "Still Human", directed by Ms Oliver Chan, was watched by some 300 movie fans. 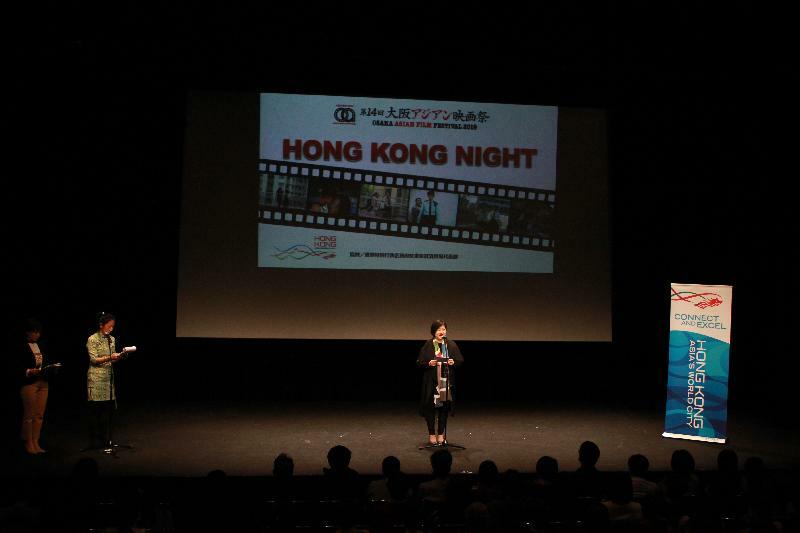 Speaking before the movie screening, the Principal Hong Kong Economic and Trade Representative (Tokyo), Ms Shirley Yung, noted that "Still Human" is a winning project of the Hong Kong Government's First Feature Film Initiative, which seeks to identify and nurture talent by providing financial support for the winners to make their first commercial feature films. "The Film Development Fund was set up 20 years ago to support projects conducive to the long-term development of the Hong Kong film industry. The Hong Kong Government will continue to give full support to the further development of our film industry," Ms Yung said. At the movie screening, Ms Yung was joined by Hong Kong film talents whose works have been selected for screening at the film festival.